The term newly industrialized country ("NIC") is an economic classification used by economists to represent economies that fall somewhere between a developed country and a developing country. The countries falling under this categorization are characterized by rapid export-driven economic growth and a secular migration of workers from rural to urban areas. Some examples of newly industrialized countries include China, India, and Brazil, although definitions of so-called NICs vary between economists. The one thing most economists can agree upon is that NICs tend to be attractive investment destinations given their strong economic growth rates, which makes them very important for international investors. Developing countries are often classified as those with a low living standard, an under-developed industrial base, and a low Human Development Index (HDI) relative to other countries with more advanced economies. Newly industrialized countries share some of these characteristics but tend to be heading in the direction of becoming a freer and stronger developed market country. Some common attributes seen in newly industrialized countries include increased economic freedoms, increased personal liberties, a transition from agriculture to manufacturing, the presence of large national corporations, strong foreign direct investment, and rapid growth in urban centers resulting from a migration from rural areas into larger and more populated city centers. Many emerging markets fall under the NIC categorization, as opposed to frontier markets that tend to be a lot earlier-stage. For instance, many frontier markets still have a relatively unstable government that entails a higher level of political risk and/or a dependence on a single commodity or industry. Economists and investors commonly use the term newly industrialized country, but there is no single agreed-upon definition. As a result, there are many different countries that are considered NICs but not everyone agrees on what those countries are. Moreover, the classification can rapidly change over time, depending on a country's economic conditions. Some commonly cited NICs include Brazil, China, India, Malaysia, Mexico, Philippines, South Africa, Thailand, and Turkey. Countries that have moved beyond newly industrialized countries and to developed countries in the 1970s and 1980s include countries like Hong Kong, Singapore, and South Korea, as their economies have matured. Some countries may also be demoted from NICs to frontier markets if their economies have regressed due to deteriorating economic or political environments. For example, some countries have made strides in installing a democratic government but have slipped with an autocrat taking power. The lack of strength in their institutions could result in a demotion of their economic status. International investors seeking exposure to this fast-growing classification of countries have numerous options. The easiest way to invest in these countries is by using exchange-traded funds ("ETFs") that offer broad exposure to these economies in a single security that can be easily traded on U.S. stock exchanges without the risks associated with trading on foreign exchanges. 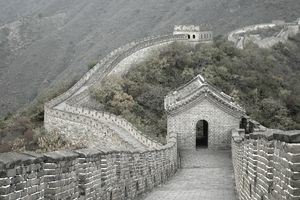 iShares MSCI BRIC Index Fund (BKF) - Brazil, China, and India are three newly industrialized countries, making BRIC ETFs like this one a good option. iShares FTSE/Xinhua China 25 Index (FXI) - China is the largest newly industrialized country, making this a large and popular ETF for those looking for exposure. iShares MSCI South Africa Index (EZA) - South Africa is one of the most non-correlated NICs, making this ETF a good option for investors looking to diversify. International investors may also want to consider one of many country-specific ETFs, like the two mentioned above for China and South Africa, or American Depository Receipts ("ADRs") to target specific companies within these countries. ADRs are U.S.-traded securities representing fractional ownership in foreign equities traded on international exchanges. The term newly industrialized country is very broad and ill-defined, meaning that international investors should be careful when using it. Many countries falling under this categorization also face numerous hurdles associated with their economic development, such as China's economic struggles or Brazil's political turmoil in 2015 and 2016. However, newly industrialized countries shouldn't be ignored. China is expected to become the largest country in the world within the next 50 years, while India isn't very far behind, which makes these countries very important for global growth. International investors should carefully build exposure to these areas in their portfolios while taking into account the risks. Newly industrialized countries - or NICs - are important markets for international investors. While they aren't as safe as developed countries, they are significantly less risky than developing countries and offer compelling growth rates. Investors should carefully analyze these opportunities and build them into a diversified portfolio. What Are the Next 11 Economies With Growth Prospects?